The report is based on a pilot study carried out at the University of Melbourne in 2016 as part of a larger program of research funded by the Melbourne Law School Major Collaborative Project Fund. 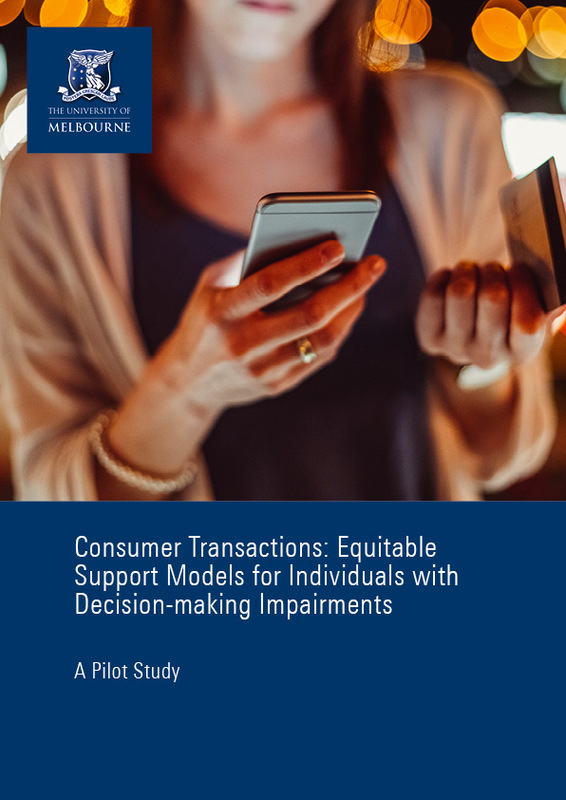 identify which support models may assist them to engage more equitably in consumer transactions across four industry sectors — finance, telecommunications, insurance, and utilities. The aim of the overall program of research is to build expertise and tools for wider industry participation in supporting people with decision-making impairments to be fully included in society as economic actors. An Easy English version of the report is also available.